Developed in the early 1900s, Decatur Heights grew from a small gathering of homes on Sycamore Drive and Ridgeland Avenue to several neighborhoods, including Springdale Heights, Sycamore Station, and Sycamore Ridge. Architectural styles in the neighborhood include ranch-style, cluster homes, townhomes, and larger, more opulent construction. Decatur Heights is very walkable, with plenty of sidewalks that connect the smaller neighborhoods. 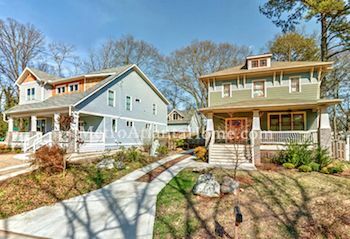 Decatur Heights is the oldest and one of the most popular neighborhoods in Decatur. 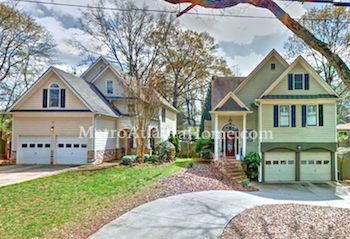 Lying in between East Ponce de Leon Avenue, Church Street, and Winn Way, Decatur Heights is made up of several smaller neighborhoods, several churches, and a nature preserve. 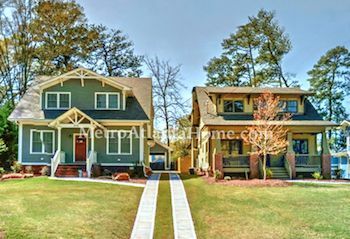 Originally, Decatur Heights was known for its quaint, cozy cottages and Bungalows, a style ubiquitous in Intown Atlanta. However, as the 90s dawned, many of those homes were torn down and replaced, eventually, with larger, more cookie-cutter homes. Decatur Heights also has its own neighborhood association geared toward protecting the interests of its residents through community watch, activism and fostering neighbor relations. There are two churches in the neighborhood, as well, the North Decatur United Methodist Church on Church Street and The Church at Decatur Heights on Sycamore Drive. Additionally, Glenn Creek Nature Preserve is situated on Fairview Street and boasts a large creek, walking paths, and a large clearing. Not open to the public except by appointment, Glenn Creek Nature Preserve hosts several events throughout the year which are open to visitors.